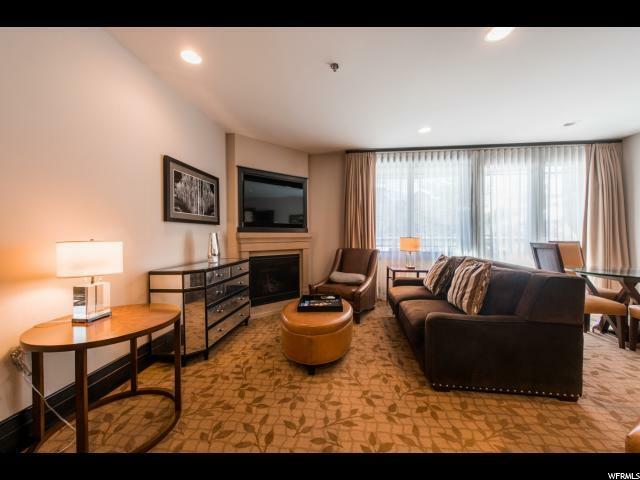 This luxury condominium is set in the Canyons Village with direct access to skiing and snowboarding at Park City Mountain, the largest ski resort in the United States, and golfing at The Canyons Golf Course. 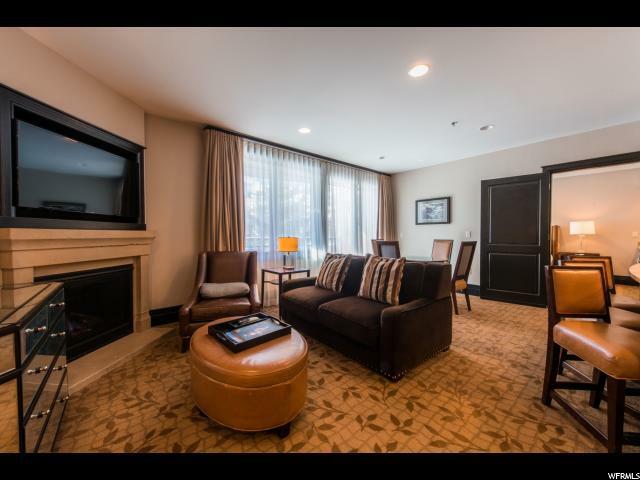 You'll feel taken care of and pampered with the dedicated gondola, outdoor pool, spas, salons, fitness classes, personal trainers, steam rooms, restaurants, valets, and more. 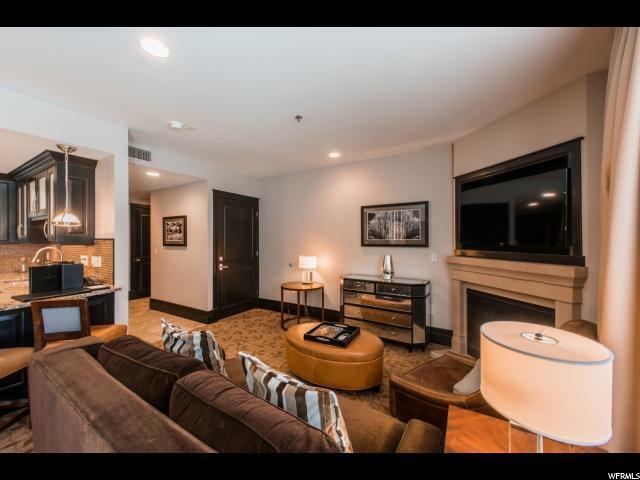 There is one bedroom, two baths, a gourmet kitchen, a living room with a gas fireplace, dining area, bar seating, and a private deck. The master bedroom has its own fireplace and views from the large window. In fact, there are views from every window. 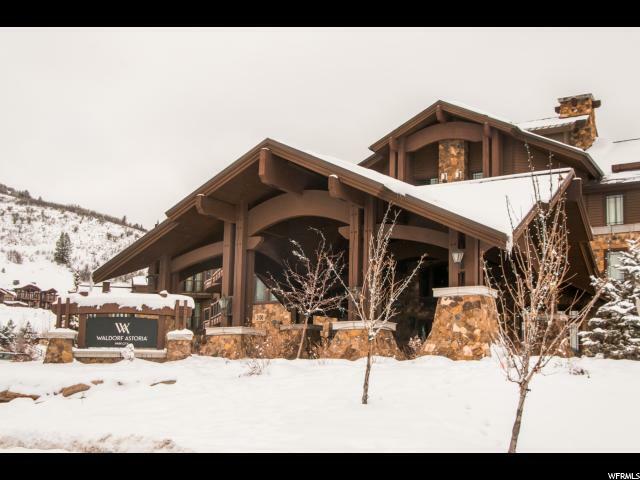 Enjoy the nine-foot + ceilings, stone tile flooring, granite counters, and the heated garage. Unit 4163 at the Waldorf Astoria has approximately 877 square feet of living space. Seller is offering a credit at closing for 6-months' HOA Dues. Please contact the listing agent office for income potential.